A third-generation master of Wu style Tai Chi Chuan, Chi Kung, and Oriental meditation, Master Alfred Huang is a professor of Taoist philosophy who studied the I Ching with some of China’s greatest minds--only to be imprisoned during the Cultural Revolution in 1966 and sentenced to death. For 13 years in prison Master Huang meditated on the I Ching and found the strength to survive. Released in 1979 weighing only 80 pounds, he emigrated to the United States. Master Huang is the founder of New Harmony, a nonprofit organization devoted to teaching self-healing, and is the author of Complete Tai-Chi. The Numerology of the I Ching is the first book to cover the complete Taoist teachings on form, structure, and symbol in the I Ching. Provides many new patterns and diagrams for visualizing the layout of the 64 hexagrams. Includes advanced teachings on the hosts of the hexagrams, the mutual hexagrams, and the core hexagrams. The Complete I Ching is the most highly regarded translation that honors the authentic Chinese spirit of the Book of Changes, placing new emphasis on the intricate web of interrelations among the names and sequence of the sixty-four hexagrams. This book includes historical information on the events out of which the I Ching was born and introduces several new methods of divination. Dr. Glen Swartwout headed the team that first put Master Huang's bean counting method, developed for use during his 13 years in Chinese prison, online. Dr. Glen wrote the mathematical algorhythm to electronically simulate the counting of the beans. 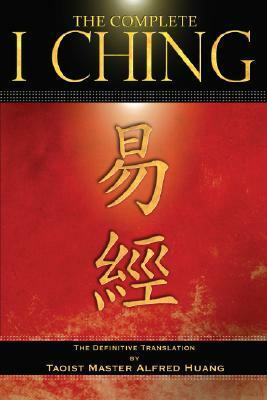 For more than 3,000 years the I Ching has been the most important book of divination in the world. Revered by billions of Chinese as the Classic of Classics and consulted as a source of ancient wisdom, it has been embraced by the West in the last 50 years but has always been translated by Westerners who brought their own cultural biases to the work, distorting or misunderstanding its true meaning.In The Complete I Ching Master Alfred Huang has restored the true essence of the I Ching by emphasizing the unity of Heaven and humanity and the Tao of Change, and, even more important, by including translations of the Ten Wings, the commentaries by Confucius, that are essential to the I Ching's insights. Previous English translations have either given these commentaries a minor place in the book or have left them out altogether. But the Chinese say that the I Ching needs the Ten Wings to fly. Restored to their central place in the book by Master Huang, the I Ching at last flies in English. While making a presentation at the Riverbend House, home to Hilo Oasis, Master Huang commented that it had the best Feng Shui that he had seen anywhere. It is a plantation manager's house built in the craftsman style in 1929 at a bend in the Wailuku River, the largest in the Hawaiian Archepelago, at the last waterfall, where the river enters Hilo Bay, the best natural deep water port in the Pacific. It is a short journey from The Shire, which is located at the prime planetary resonance point near 19.5 degrees latitude, on the slopes of the newest land formed by the most active volcano on Earth, where the spirit minerals arise with the lava.